When it comes to getting the best treatment, “I’m Patient” should mean “Impatient” (as in [I’m] impatient to get the best treatment). As such this book is primarily written to get you want you need asap. A super-short “must read” chapter for everyone. Chapter 4: FOR PATIENTS: HOW DO YOU GET IT? If you normally have thick skin and already don’t take no for an answer you might find this section a bit tedious, but it is important to interact respectfully with your practitioner, who may be suspicious of IVC. Your ideal scenario is to get treatment where it is most convenient to you. This section has some ideas, and provides some background behind the irrational institutionalized prejudice that some old-school conventional oncologists might have against IVC that you might know it has more to do with institutional politics, pride, and understandable fear than anything else. Some people may find this chapter (and some of the other content) very unnerving and even offensive. Some people react with disgust with the suggestion that something is wrong the current paradigm in healthcare of an all-knowing doctor in the middle who’s opinion should never be questioned. They may feel that what is discussed at the hospital water cooler is without reproach, or that what is taught at medical symposiums is without bias, or that all a doctor needs to know is what is taught in medical school. There are however much wider and sunnier possibilities, and they are found in this book. At a minimum please read the first 3 sections of this chapter … and then perhaps only scan the questionable and bogus contraindications in the event any are claimed by your practitioner. The level of unfamiliarity by most practitioners regarding IVC is explained and the roots of common misunderstandings about IVC are further revealed (spoiler: It’s a systemic malady affecting the best and brightest, and the most selfless, well-meaning, and good-intentioned doctors). Similar to Chapter 4, there may be considerable perceived hubris within the content, which might make the content difficult to believe but in fact it is all fully substantiated from over 150 citations of peer reviewed literature from respected medical journals. Please, if experiencing doubt then pay attention to the medical references. This is all pulled from respected peer-reviewed medical journals. 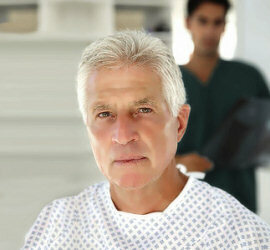 There is much that can be done by the patient on their own to improve efficacy. 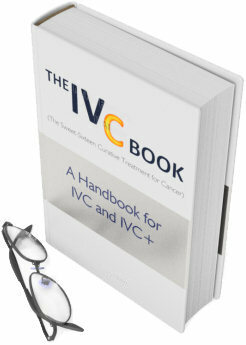 This is perhaps the most important part of the book for the Cancer Patient, since the peculiarities with regard to how the body uses vitamin C are so very unique, and that science significantly impacts IVC efficacy. Because of this, the patient can do more on their own to improve efficacy than they are able to do with most any other treatment. Neglect of these recommendations is an effective way to dramatically decrease the efficacy of IVC and has traditionally been the cause of situations wherein IVC doesn’t provide the expected results. Chapter 7: HOW ELSE CAN I GET IT (or get something like it)? Even those who can get IVC through their cancer practitioner will find some of the misconceptions corrected here useful, and the information on how they can best get IVC-like benefits after the IVC has ended is essential. Follow the best protocols, and follow the best advice that your practitioner and those who recommend a prudent path, and you will have the best possible outcome … and if these protocols recommend herein are followed, you will do it with the best quality of life and empowered cancer-fighting strength.